BMW R1200CL - Fender Tip, Front of Front Fender Ztechnik Z3170 Fender detailing that will not go unoticed on the large R 1200 CL fenders. 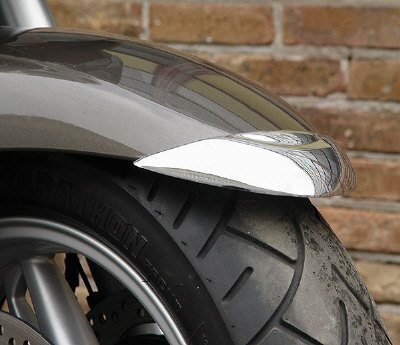 ZTechnik's fender tips are as practical as they are good looking. A set of fender tips will protect your fender's edges. The durable cast aluminum and chrome plated tips will protect your bike's finish and add a unique custom detail to your R 1200 CL. Three fender tips are available, each sold separately.